It's no surprise that we have been nominated as part of King 5 Evening Magazine's Best of Western Washington. There is something for everyone at Splash Gallery, at every level of interest, and for every budget. Wether your window shopping, inspiration shopping, or holiday shopping, Splash is the perfect place to stop. 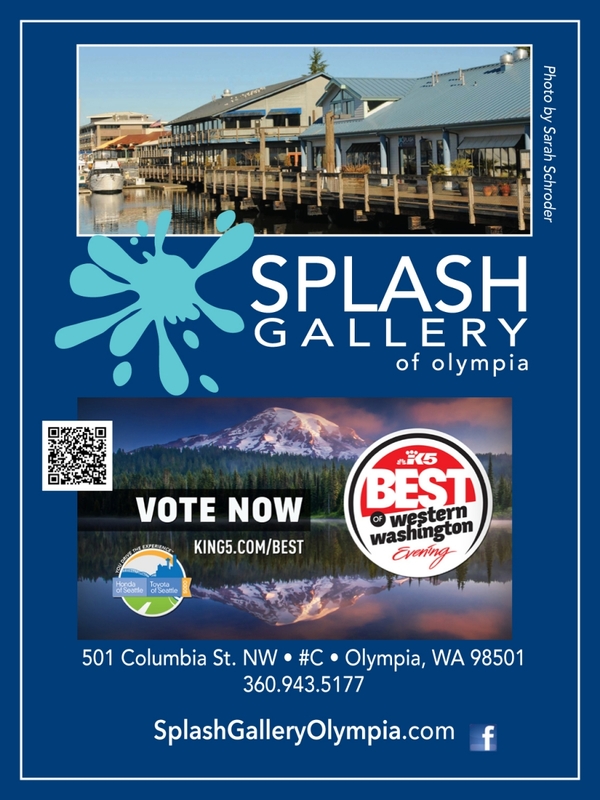 Splash is located on the board walk in Downtown Olympia, a short and beautiful walk from the Farmers Market. Make a day of it and come down to the boardwalk, have some lunch at the market, and wander down to see what makes us Best of Western Washington material. And most of all, don't forget to vote for us! It's been awhile since I've played with acrylics on canvas. 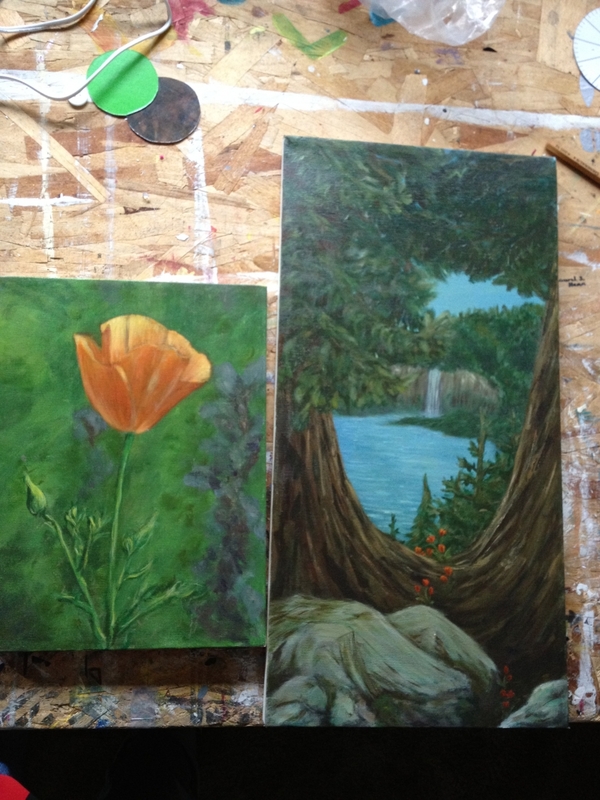 I painted these while I was attending college and working at the local art store here in Olympia, WA. At the time I was doing a lot of painting. Finding these two have really given me a bug to paint. I want to "burn the midnight oil" like my painting teacher use to say for encouragement to put the extra time into our work. It's not that I don't paint, I do a fair amount of hand painting on clocks. But I'd like to paint something framable. So I have begun to pull out the blank canvases I've stretched in the past that never got used. Now they are front and center in my studio, stark -white, blank canvases that scream with ideas and anticipation. Perhaps my bug will sink it's teeth in soon (or I'll find the oil) and I will cover those worthy canvases with my brush strokes.